Greene remains hopeful, too, that it won’t be long before the Large Hadron Collider throws up evidence of the super-symmetric particles – “partners” that pair every electron with a “selectron”, every quark with a “squark”, and so on – that string theory demands. (with a consequent loss of energy presumed to have shunted into other dimensions), and, his own meticulous search for subtle signatures in the cosmic microwave background radiation. He has no time for critics who suggest that absence of evidence in string theory is strong evidence for continuing job security. Says Greene: “I think that you go around once in life, and who would ever want to spend that time working on something that’s not right, that’s wrong, that’s a total waste of time? “So if string theory’s wrong, I’d like to know right now. I’d like to have known 20 years ago. For Greene, though, there is still another concept of distance that sometimes occupies his mind, a concept that cannot be quantified, no matter how sophisticated the mathematics, and that will never be subject to experimental evidence, no matter how much juice is pumped into the Large Hadron Collider. between a New York scientist and a dead Algerian philosopher? “I sort of re-read Albert Camus every few years,” he tells Cosmos from his office in New York. Greene’s love for Camus isn’t the recently discovered intellectual regard of a smart guy in his 50s. It goes way deeper. It has occupied him for most of his life. 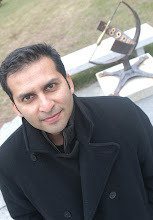 In terms of his research – from his doctorate describing Calabi-Yau shapes, the putative repositories of the six hidden dimensions string theory demands; to his present quest to uncover evidence of quantum gravity in data describing cosmic microwave background radiation – the image of Camus, Gauloises cigarette hanging from his lip, lurks beneath the equations. 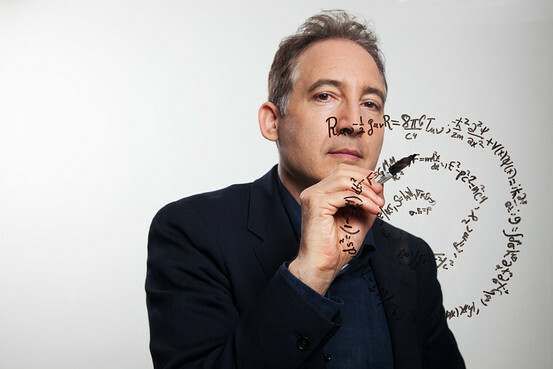 For Brian Greene, Camus was the start of it all. “I do consider physics to be in some sense a branch of existential philosophy,” Greene tells Cosmos. “I would say there is a deep connection. The reason why I’m interested in physics, the reason why I’m interested in cosmology, is really to try to gain some insight into the very questions that Camus is asking. What is it that makes life worth living? What is it that drives the human spirit to explore as opposed to crawl back into the cave and crumble under the weight of existential angst?